Traction springs are ideally considered as a rigid body. They are helical cylindrical, subject to a tensile force working on the terminals, called eyelets or hooks, positioned at the ends of the spring body taken from the wire suitably curved. The hooks can be of various shapes, located internally or externally to the spring body. 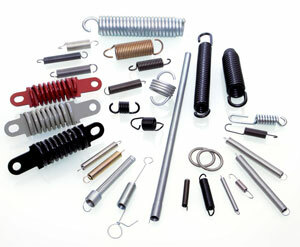 The importance of the proper angle between the hooks is necessary for correct mounting of the spring.